While some Jewish and Christian scholars like to imagine assemblies praying from the Siddur (the central Jewish prayerbook), in fact prayer in ancient Israel was almost nothing like prayer observance today. While the Jerusalem Temple stood, Israelites used ritual sacrifices to fulfill vows, give thanks and make semi-annual harvest offerings, to regain good standing after impurity and transgressions, and petition God for help. Most of these rituals—with the notable exception of sin offerings—are associated with psalms. 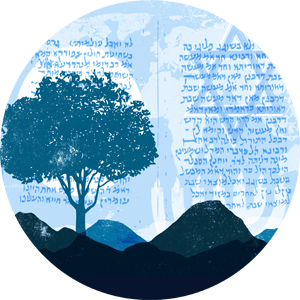 The sixty or so "first-person" psalms are the longest and most numerous texts in the Hebrew Bible that look, sound, and feel like prayers. While detailed evidence of their performance are lacking, psalms appear to have been sung in public by or on behalf of individuals who had made a "peace" or "good-will offering," who sought to persuade God to intervene in personal and social crises such as illness, captivity, and injustice. After Titus razed the Second Temple in Jerusalem in 70 CE and carried Temple furnishings and high-value captives back to Rome, the sacrificial system was up-ended and prayer practices were in flux for quite some time. This talk describes how the Rabbinic liturgy which eventually prevailed became more and more "fixed" in terms of content, wording, sequence and even posture. I will also describe how the rabbis side-lined the psalms in the Siddur, ending public opportunities for individuals to appeal aloud directly to God at specific times of need. Davida Charney is a full professor in the Department of Rhetoric and Writing at the University of Texas at Austin. Over the past five years, she has specialized in Jewish studies applying contemporary rhetorical theory to the Book of Psalms. This work has appeared in biblical studies journals and in a 2015 book, Persuading God: Rhetorical Studies of First-Person Psalms published by Sheffield-Phoenix Press. 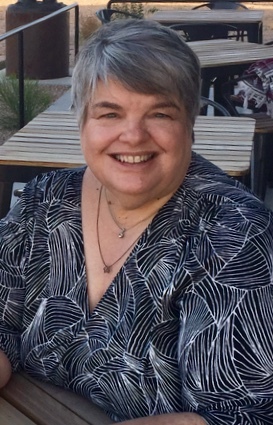 Her current project, tracing the place of the psalms in prayer observances in Second Temple and Rabbinic Judaism was supported by a Fulbright Senior Scholar Fellowship to Israel in 2017.